The Test Probe TP-TP90 Set is a set of compact, isolated test probes. The test probes can be used on any measuring lead with 4 mm banana plugs. The test probe has a polished stainless steel tip. The collar is flattened at one side, to prevent the test probe from rolling. 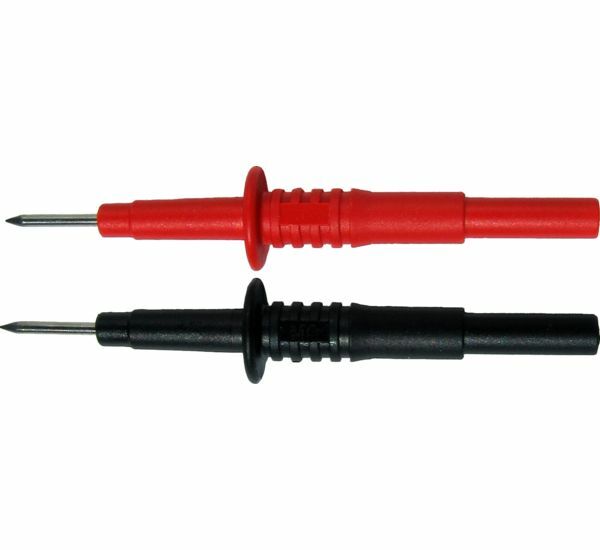 The Test Probe TP-TP90 Set contains 2 test probes, a black one and a red one. The table below shows detailed specifications of the Test Probe TP-TP90 Set.